My grandfather was a carpenter and furniture maker. During the '30s depression he worked as a janitor, but it's the black walnut furniture he made, that I see every day, that reminds me of whom he was. I have no personal memory of him. The furniture was a wedding present to my mother, and that furniture was my first introduction to walnuts. On her Duncan Fyfe walnut table in the dining room there was a walnut bowl designed for holding and cracking walnuts. There was a pedestal in the middle of the bowl that contained a brass plug. Someone must have once tried to crack a black walnut on the plug because the wooden base for the plug was broken. The best way to open black walnuts is to drive over them with a car. English walnuts can be cracked and opened in your hand. Each year at Christmas Santa filled my hung-with-care stocking with walnuts. I don't recall having walnuts outside of Christmas, not even in a chocolate chip cookie. Today, we simply buy shelled walnuts; however, I was a little shell-shocked at the recent price. Walnut meats or kernels are a high density source of nutrients, including proteins and essential fatty acids. In an interview entitled "Not All Fats Are Created Equal", LPI principal investigator and professor of Nutrition Donald B. Jump, Ph. 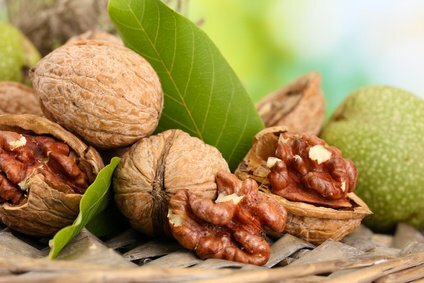 D., revealed that large-scale epidemiological studies found that walnut consumption, which are rich in alpha-linolenic acid, benefited cardiovascular health. He said, "The benefit gained from alpha-linolenic acid is that it is a precursor to DHA (docosahexaenoic acid) and EPA (eicosapentaenoic acid). However, alphalinolenic acid is not as efficacious in cardioprotection as DHA and EPA. Thus, supplementing the diet with DHA and EPA provides better cardioprotection." The nutrients of walnuts work with other nutrients, which may help protect the heart. One in twenty Americans are allergic to tree nuts and yet nuts are an important food source around the globe. Amazingly, only about 5% of American adults eat nuts of any kind. The website www.whfoods.org, the World's Healthiest Foods, says, "In a recent look at the nutritional differences between tree nut eaters and non-eaters, researchers have reported some pretty notable findings: on a daily average, tree nut eaters take in 5 grams more fiber, 260 milligrams more potassium, 73 more milligrams of calcium, 95 more milligrams of magnesium, 3.7 milligrams more vitamin E, and 157 milligrams less sodium!" If you're not allergic to nuts and not eating them, it's like the difference between not being able to read, and being able to read and not reading. In other words if you have the advantage, you should use it. The most popular way to eat nuts is in baked goods, like yummy cookies, breads, and cakes. According to the Huffington Post, of the top-eight most popular American store-bought cookies, not one contains nuts even though the top three are different versions of Chips Ahoy (Nabisco). In homemade cookies, chocolate chip are number one, with the addition of walnuts and pecans simply being variations. Nuts are particularly important for vegetarians, who even use them to make meatless burgers. Personally, I like chopped walnuts in my orange-cranberry sauce with holiday turkey and ham. Once I served baby walnut preserves, a Russian favorite, at a cheese tasting party. It was good on the Roman Meal whole grain bread, but over-poweringly sweet. 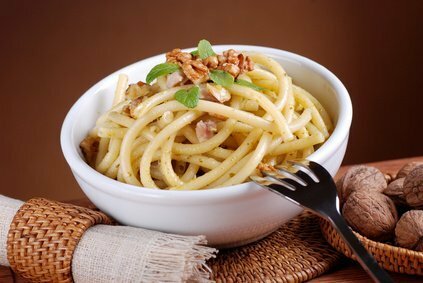 I think the next time we make spaghetti we'll use whole grain pasta and serve it with walnut pesto (basil, chopped walnuts, garlic and olive oil). I can't believe that 94% of my fellow Americans have never tried walnuts or nuts at all. 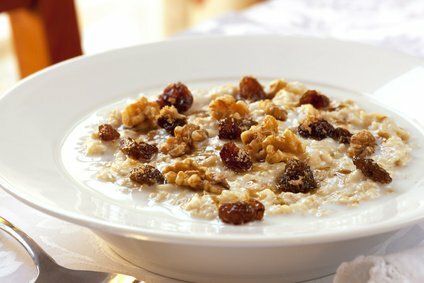 If they tried them their health might improve AND they might find a new crunch to add to their morning or evening meal . 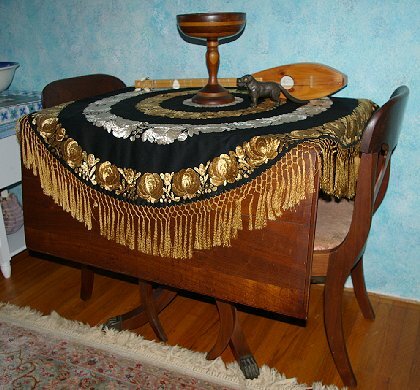 . . especially if they were sitting down at my walnut dining room table. Walnuts for Taste and Heart Healthy Fat, walnut benefits, walnut nutrition, walnut facts, walnuts, Healthy Aging Article, Healthy Living Article.